Calisthenics is a term a lot of us probably heard years and years ago in gym class...a word that may make you cringe. The term calisthenics refers to exercises that are done in a rhythmic, systematic way using the body weight for resistance. The purpose of calisthenics is simple — to help you build strength, endurance, and flexibility with no equipment needed. 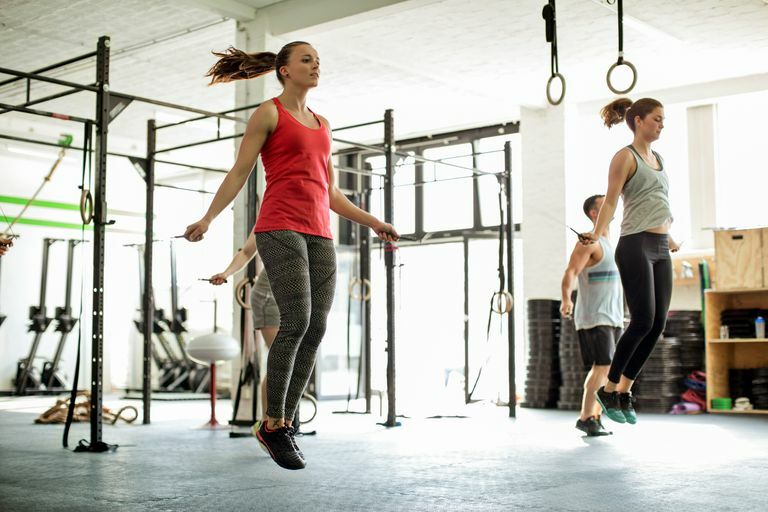 These days, we regularly see calisthenic exercises in traditional strength training workouts as well as in circuit training and boot camp training. Body weight exercises are probably the simplest moves to do whether you're a beginner, you're on the road with no equipment or you don't have much equipment at home. Your body can easily be enough resistance to help you build strength and endurance, depending on the exercise and how hard you work at it. The great thing about calisthenics is that you can do them anywhere — in your hotel room, your grandma's basement, your kitchen while you're cooking or while you're watching TV. They're a great way to exercise and stay active all day long. When you're taking a break from work: Every time you take a break, pick 5 exercises and do each one 10 times. Can't do them at work? Try adding some office exercises. When you're doing chores: Add squats every time you pick something up off the floor. Lift the laundry basket overhead a few times or do lunges on the way to the laundry room. While you're making dinner: Waiting for water to boil? See how many squats you can do. While waiting for the chicken to bake, do a circuit — pushups, squats, lunges, dips, jumping jacks and a plank. Do each one for 10-15 reps (hold the plank for as long as you can) and then see how many rounds you can do. While watching TV: Instead of zoning out while you're watching TV, get down on the floor for some pushups or crunches. See how many dips you can do off the couch. Challenge your spouse to a pushup competition. You can also create an entire workout out of calisthenic exercises. Take the exercises listed above and do each one for 10-5 reps, one after the other without resting (if you can). When you get to the end, see if you can do it all again for a tough, total body workout. The drawback of body weight exercises is that they may not be as intense as when you use weights to add more resistance. Still, that doesn't mean they can't work for you. There are plenty of tricks you can use to add intensity to your body weight work without having to pick up a set of dumbbells. Go Slow: Let's say you're doing a squat, which most of us would need heavy weights for. Instead of weights, slow the move down, doing 8 counts down and 8 counts up. You'll really feel it when you increase your muscle's time under tension. Do it On One Leg: Let's take that same squat that may feel too easy without weights and let's stand on one leg and do a one-legged squat. Now you're happy you're not holding any weights. Those are just a couple of ways you can make calisthenics into a challenging workout.